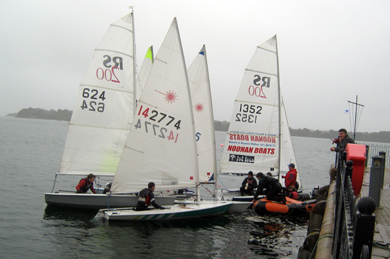 The second, recently-formed Dundrum Sailing Club regatta took place on Saturday 7 September. Weather conditions were unsettled but given the forecast earlier in the week conditions were far better than expected. A supportive crowd gathered at the Quayside to watch the two races get under way organised by starter Angela Gilmore of Killyleagh Yacht Club. Some of the yachts that took part in the Dundrum Sailing Regatta at the weekend. The first race was for Lightning Sailing Boats won by Ian and David Groves from Dundrum in The Elk, and second was Roger Noblett and Mark Andrews from Dundrum in Stars and Stripes. The race was sponsored by Frenchies Coffee Shop, Clough. Ian Groves, club chairman, said: “This was the second Regatta for newly formed Dundrum Sailing Club and one of the reasons for forming the Club apart from encouraging people from the local area to take up sailing is to preserve the Lightning class of sailing boat. 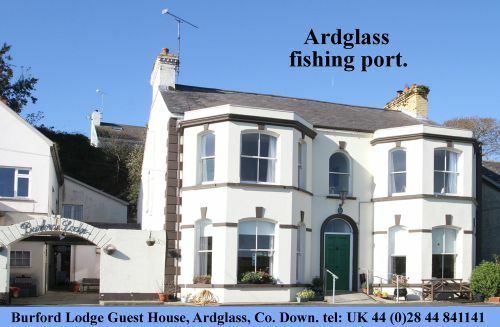 “This boat is of American design and was first raced in Strangford Lough by Killyleagh Yacht Club in the 1940’s, but recent years have seen a change of venue from Killyleagh to Dundrum as the place where Lightnings now sail. 2013 sees the 75th Anniversary of the birth of this famous sailing boat designed in 1938 by Sparkman and Stephens, well-known American Naval Architects. “The Second race was a Handicap race for Sailing Dinghies won by Clive Coffey of Newcastle Yacht Club in Braalyriggit and second was Frank Campbell of NYC in a Laser 12774. In third spot was Lucy Grainger in Terpsicore in a Laser Radial. The race was sponsored by The Dundrum Inn. “Lucy also won the best Junior sailor award sponsored by Armstrong and Armstrong Opticians of Newcastle and Kilkeel. “John Flynn and Ollie Forsythe deserve a prize for most memorable moment as their Dart 18 Catamaran dismasted at full speed in a broad reach!